This is group of professional, rigid LED stripes with brand LEDs which been design to fit to our profiles. They been thermally tested to obtain the best possible heat dissipation and at the same time offer the high light transmission rate. We decided to go with OSRAM LEDs (DURIS E5, E3, S2) as the tested quality, high performance LEDs supplier. There is more quality components on ours boards which been use to drive OSRAM LEDs in optimal condition. 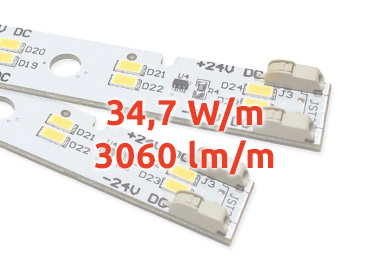 We use good brand LED drivers from INFINEON which are responsible to deliver constant current to each LED. They are often use in the automotive industry working in harsh condition in back tail lights, turn and stop LED lights. In our model we use them to change the constant voltage supplying system into the constant current supplying system within one module. Additionally on the board the modules are parallel connected, so they are much less sensitive for the line voltage/brightness drop over the length. The LED driver reduce that problem even deeper suppling the same current to the LEDs even in lover voltage, lower then initial voltage. The brightness in long lines will remain the same and we can be sure that the LEDs will works in optimal condition. 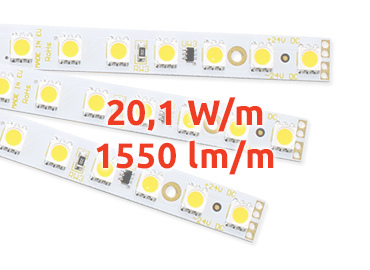 As the safety standard every LED stripe is also protected against opposite polarization on board. 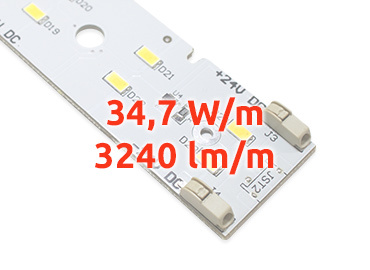 All our products and also our LED modules are cover with standard EU 2 years guarantee. 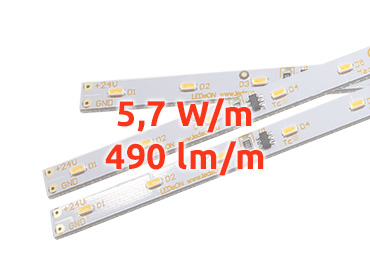 The life time of the LEDs is strictly related with the operating temperature, only the right combination of the proper heat sink (in this case LED profiles) with carefully chosen LED stripe can guaranty the optimal long life time. This is something where we can help you with if you will decide to use our LED profiles or LED stripes. 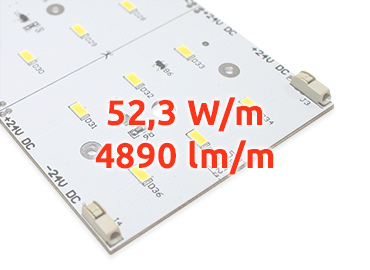 This is constant voltage (CV) 12x300mm long, 2 layers firm PCB with low power standard 3528 LED chips. 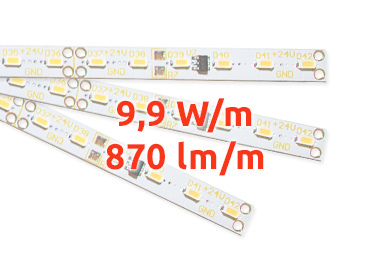 Dedicated LED stripe for Alu-Swiss profile, only 6mm width, rigid. 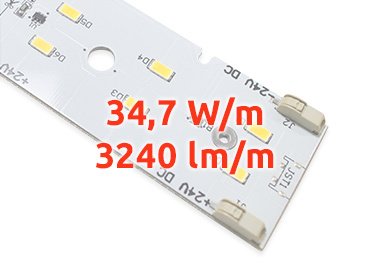 High light output, high density of the LEDs guarantee the homogenous light and LEDs dots free solution. 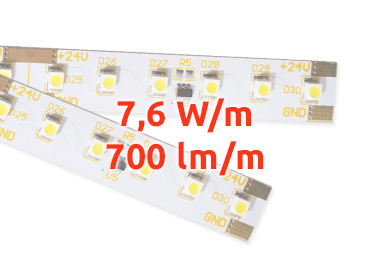 This is constant voltage (CV) 10x195mm long, 2 layers firm PCB strong 3-chip leds 5060 LED stripe with the constant current (CC) supply system. Osram Duris E5 based led bar with high efficiency and wide beam angle in compact format.